Key Difference: An update or a patch is a very small snippet of code or multiple snippets of code that are packaged and sent to the user. On the other hand, an upgrade is something that includes a huge change and is a complete version change that at times requires payment. Anyone who has ever used any type of software knows about the mini prompts that they receive regarding upgrades and patches. From phones to desktops and everything in between, the upgrades and patches are something we’ve all seen. And while we definitely say yes to any of these prompts, a lot of people are often confused as to what exactly is the difference between the two. While it can be a little confusing, it is definitely a pretty easy concept once we explain it here. 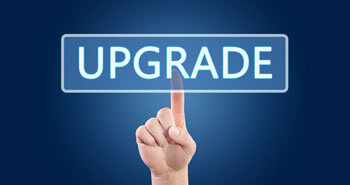 The only similarities that a patch and upgrade have is that both are snippets of code that modify a software or program. Other than that, both are pretty much different. An update or a patch is a very small snippet of code or multiple snippets of code that are packaged and sent to the user. These changes are often denoted as v.01.00 to v.01.01. 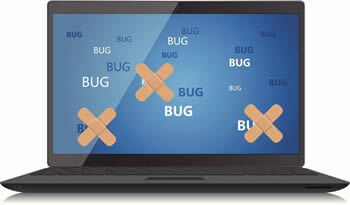 The patches are commonly sent to address some issues, vulnerabilities or activate certain functions in the software. In simplest terms, patches are sent to fix problems or bugs that are present in the current software. This doesn’t completely haul the software and at most times you won’t even notice any difference in the software. On the other hand, an upgrade is something that includes a huge change. It is a complete version change and the change is often denoted as v.01.00 to v.02.00. For OS in phones, manufacturers often provide a version change for free, but for many software companies, an upgrade will definitely cost you. Anyone who has upgraded from a Windows 7 to Windows 8, definitely remembers paying for it. Version changes are commonly less frequent and take longer to install, as it requires removing or rewriting the previous version that is already present. In an upgrade, you are also definitely bound to see a difference in the way the software is designed, as many companies do tend to change the way their software looks and feels. So, in short the only difference between patches and upgrades are that patches are pretty much unnoticeable and are meant to fix bugs or add smaller features, while upgrades are large version changes that sometimes introduce brand new features to the program. Now that you know the difference, you will now be able to make a more conscious choice between selecting which type of patches and upgrades you would actually like to install into your program.